C.W. was giving me a hard time, not for anything in particular, just on general principles. It had something to do with his latest review by the Falloonian Elders. He was pedantic, which explained his professorial get-up, complete with thick horn-rimmed glasses, bow-tie, and a tweed sports coats with patches on the elbows. “They aren’t satisfied with my choice of an Earthling counterpart,” he said. “Choose another, then,” I said. That hurt, but I tried not to let it show. “It wouldn’t hurt you to try and fit the mold.” He brandished a stack of travel brochures. “Why don’t you take those brochures and …” I began before he interrupted me. Oh boy! 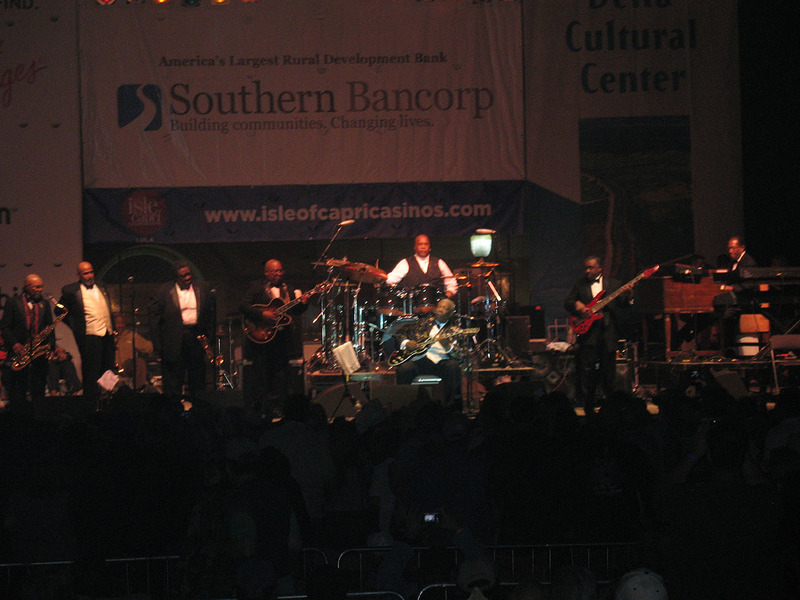 Nothing beats the King Biscuit Blues Festival. Here is B.B. King from a couple of years ago. Big Dope is so good to me. - C.W.